A guy speaking on Flag Day. Unremarkable, except, look at the year, look at the audience. Flag Day was marked in 1877 by a few hundred Americans, fresh from celebrating the nation’s centennial, on the centennial date of the resolution from the Second Continental Congress that designated the flag, with stars and stripes. Pushed by history teachers who used the celebration as a teaching tool, unofficial ceremonies continued across the nation. President Woodrow Wilson — himself a professor of history and politics — issued a proclamation for a national celebration to continue each year, in 1916. Reporters for newspapers, and maybe an official scribe, work to capture Wilson’s speech in text form; Wilson was probably speaking extemporaneously, without a prepared text. Whatever Wilson said, his remarks were not captured officially in Presidential Papers, though they may be available in other venues (behind a paywall for me). 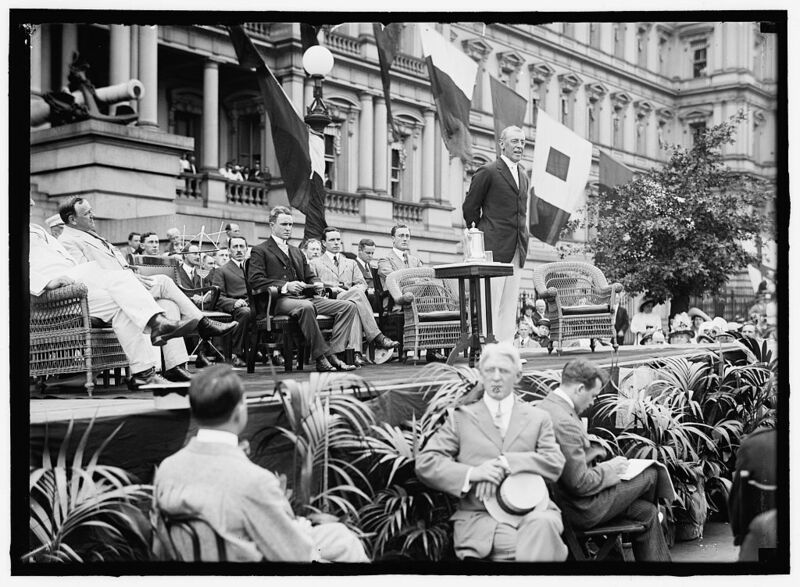 Wilson’s speech, delivered at 4:00 p.m., was titled “The Meaning of the Flag.” A few snippets from the speech suggest that it was mostly a diatribe that whipped up sentiment against German immigrants in America, ultimately ending in violence against many U.S. citizens and residents. The platform was the steps of the State, War and Navy Building, now the West Executive Office Building next door to the White House. Then the building housed three departments; today State has its own complex in Foggy Bottom, a few blocks away; War was renamed Defense after World War II, and moved across the Potomac to Virginia, to the Pentagon, where the Navy’s chief offices also reside. On the platform with Wilson were his Secretary of State, William Jennings Bryan, former Congressman from Nebraska who ran for the presidency six times, most famously capturing the nomination of the Democratic Party in 1896 with this “Cross of Gold” speech; and immediately to the left of Wilson in the photo is his young Assistant Secretary of the Navy, Franklin D. Roosevelt, who would go on to be crippled by polio, then elected Governor of New York and, in 1932, President of the U.S. In the photo above, Bryan is almost wholly cut out, on the extreme left edge. Others on the stand include William Phillips, sitting on Roosevelt’s right, though a chilly couple of feet away; Breckinridge Long, to Phillips’s right; and Secretary of the Navy Josephus Daniels, in a light colored suit, to Long’s right and Bryan’s left. A career diplomat, he would shortly go on to work closely with Woodrow Wilson and to be involved in the latter’s 14-point peace plan following the Great European War. Wilson made him an Assistant Secretary of State, and Phillips would later be Ambassador to Italy at the time of Mussolini. Later in the war he became London head of the Office of Strategic Services (OSS, forerunner of the CIA), and would come into contact with an operative named Walter Lord. Breckinridge Long also held important posts over 40 years, but his legacy is much less happy. As Assistant Secretary of State for Visas during World War II, Long set up obstacles to U.S. immigration by people who were threatened by Nazi governments in European nations, sometimes countermanding orders from President Franklin Roosevelt. Josephus Daniels, son of a southern shipbuilder murdered for his Union sympathies during the Civil War, published newspapers in North Carolina most of his life. President Wilson appointed him Secretary of the Navy, where he became close friends with his Assistant Secretary Franklin Roosevelt; FDR appointed Daniels Ambassador to Mexico. Among Daniels’s newspaper holdings was the Raleigh News and Observer. An opponent of the Ku Klux Klan, Daniels argues for white supremacy, and claimed that African Americans would block progressive reforms. No, “cup of joe” is not a reference to Josephus Daniels and his order banning alcohol from Navy officers’ messes. On that speaker’s stand, on Flag Day, 1914, were the president and a future president, experience dating back to the Civil War and future leadership through the end of World War II. Interesting photo. Your flag is already flying for Flag Day, right? Absent in most photos of the dignitaries at Wilson’s speech: The U.S. flag. This photo, from farther back, shows the U.S. Marine Band, which played for the occasion, and the U.S. flag on the main pole in front of the State, War and Navy Building. William Jennings Bryan is more clearly shown, also, on the left of the row of seats behind Wilson. Photo from the Lincoln Highway National Archives and Museum. If you’re not remembered as much as Millard Fillmore . . . The University of Buffalo honored Millard Fillmore today in a graveside ceremony on Thursday — postponed from Fillmore’s birthday on January 7 due to cold and icy weather. Is Fillmore forgotten as much as many claim? Compare to notes on the births of other presidents. Richard Nixon was born on January 9, 1913 (same year as my mother!) He’d be 101 today, and still not a crook in his view. Not quite so good as a graveside ceremony. Funnier picture, perhaps. But consider Andrew Johnson. His birthday was a couple of weeks ago, on December 29. Andrew Johnson, the seventeenth president of the United States, was born in Raleigh, North Carolina, on December 29, 1808. His father’s death when the boy was three left the family in poverty. From age fourteen to age seventeen, young Johnson was apprenticed to a tailor. He then moved with his mother and stepfather to Greeneville, Tennessee, where he established himself as a tailor. Johnson never attended school but taught himself to read and write—he all but memorized the U.S. Constitution—and after his 1827 marriage to Eliza McCardle, a shoemaker’s daughter, acquired a good common education under her tutelage. A gifted orator, Johnson quickly ascended the political ladder. In 1829, he won his first office, as an alderman. In steady succession he became mayor of Greeneville, a member of the Tennessee state legislature (1835-37, 1839-43), U.S. congressman (1843-53), governor of Tennessee (1853-57), and U.S. senator (1857-62). In Congress, Johnson supported the annexation of Texas and the Mexican-American War, and sponsored a homestead bill that anticipated the 1862 Homestead Act. He also was the only Southern senator who firmly supported the Union and remained in the Senate throughout both the secession crisis and the Civil War. In the spring of 1862, after federal forces captured portions of Tennessee, President Lincoln appointed him military governor of the state, an office he held despite constant danger to his life. After Lincoln’s assassination in April 1865, little more than a month after their inauguration, Johnson assumed the presidency. His administration ran more smoothly in the foreign than the domestic arena: in 1867, Secretary of State Seward purchased Alaska and helped negotiate France’s withdrawal of troops from Mexico. If nothing else, Johnson is notorious for having been the first president to be impeached (he was acquitted at trial by the Senate; best account probably in John Kennedy’s Profiles in Courage). Was there much of a peep in popular media on his birthday? Any note? I didn’t find it except in a very few of the “Today in History” columns. Johnson may be forgettable, though — not considered a good president (who could be following Lincoln!). What about Woodrow Wilson? His birthday also cropped up a couple of weeks ago, on December 28, the day before Johnson’s. It is not needful or possible at this time, whilst yet he lives, to say that Wilson is a Washington or another Lincoln, but he is a great American. He is one of the great presidents of American history. 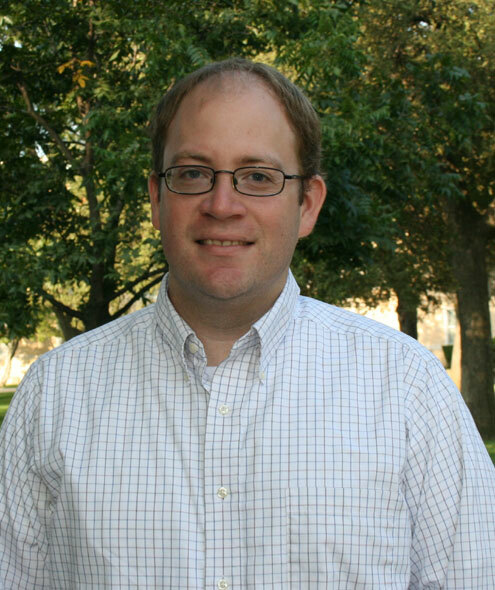 Rabbi Stephen A. Wise in a tribute to Woodrow Wilson. What is a fair measure of ignominy? If the world forgets the great man’s birthday, is that a sign? 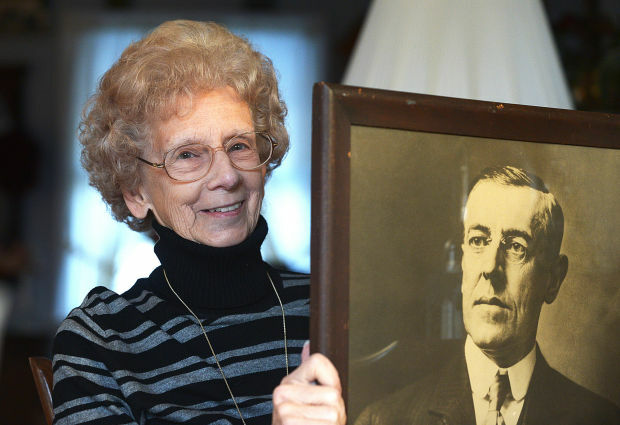 There is a Woodrow Wilson Presidential Library, in Staunton, Virginia — not a part of the Presidential Libraries group affiliated with the National Archives. They note Wilson’s birthday each year. 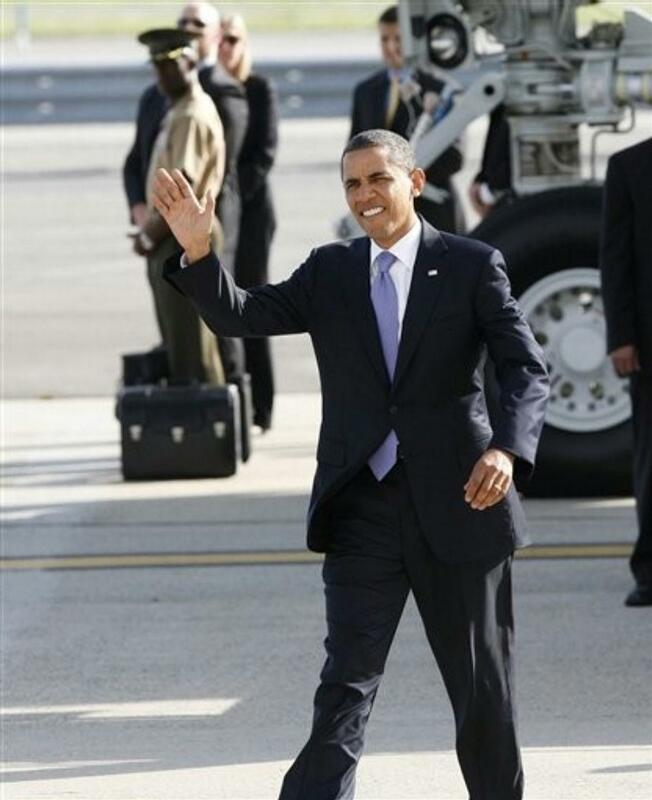 I get email (sorta): How long could U.S. survive without a president? Remember how you said America can’t go two hours without a president? What’s the worst that can happen if it just so happens to take three-four hours? Or is it uneventful? Technically, can’t happen now with the 25th Amendment and succession laws; if a president dies, another is there, probably without regard to swearing in. 1. When Tyler succeeded Harrison 1 (first death of president in office), John Tyler was more than 24 hours out of Washington. Worse, many people thought that while the duties of the president fell to the VP under the Constitution, that should be a temporary condition settled by a special election. Despite all this uncertainty, nothing bad happened in the interim. 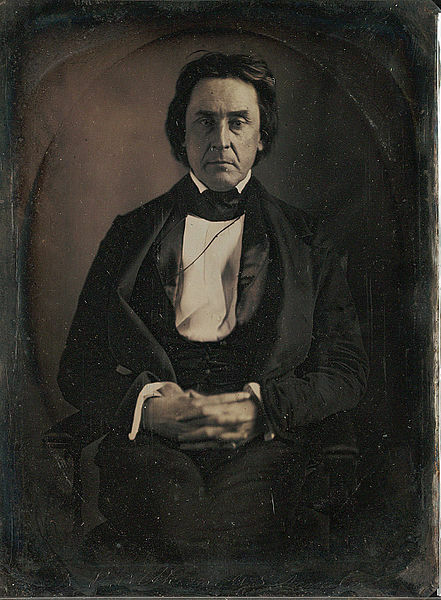 U.S. Sen. David Rice Atchison, from Missouri; photo taken by photographer Mathew Brady at the United States Capitol at Washington, D.C., March 1849. Courtesy of the Beinecke Rare Book & Manuscript Library, Yale University, via Wikipedia. 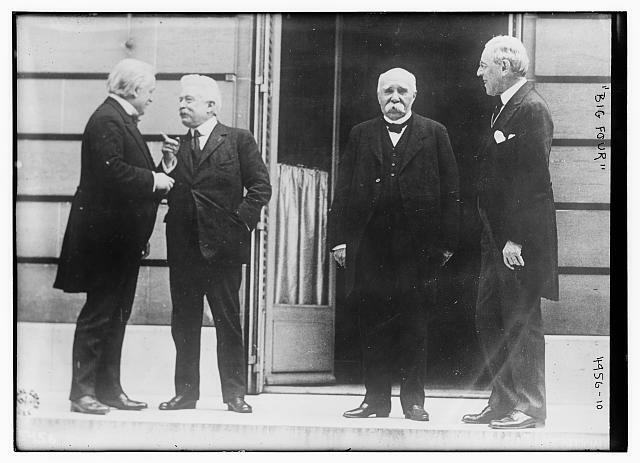 Photo taken the same month some say Atchison was acting President, for one day. 2. On March 4, 1849, [James K.] Polk’s term expired. But it was Sunday, and incoming Pres. Zachary Taylor refused to be inaugurated on Sunday. So did incoming VP Millard Fillmore. Some argue that David Rice Atchison, the President Pro Tempore of the Senate and then-third in line for the presidency under the laws then existing, was president for one day. He didn’t claim that, but in any case, spent most of the day sleeping, as the outgoing Senate had been working late for several previous nights. Some argue that because the Senate had adjourned sine die on its last session, not even Atchison was president. In any case, nothing happened. 3. When [James] Garfield was shot, he did not die immediately, but hung on for more than a month before infection took him. Vice President Chester A. Arthur did not assume duties of president, nor did anyone else, in that period. A lot of stuff got delayed, but no big deal. Government continued during the long dying process, and until Arthur was sworn in. 4. Similarly, when [William] McKinley was shot, they thought he’d survive. VP Teddy Roosevelt took off to hunt in the Adirondacks. When McKinley took a turn for the worse, guides had to be dispatched to find Teddy climbing a mountain (Mt. Marcy); by the time he got to Buffalo, McKinley had been dead for several hours. Nothing of consequence happened as a result of there being no president on hand (and they were in Buffalo, New York, not Washington, anyway). 5. 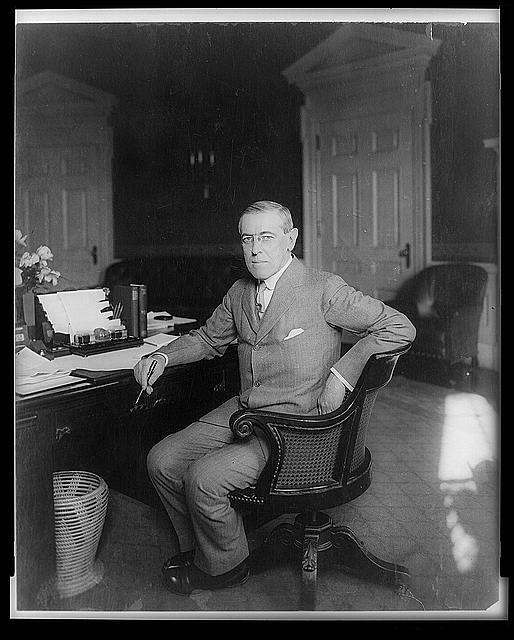 Woodrow Wilson suffered a stroke on October 2, 1919, that left him blind in one eye and unable to walk. He was kept out of the presence of the VP and cabinet for months; when he finally returned to cabinet meetings in 1920, he was clearly unable to function as president. It’s an interesting case with his second wife essentially taking over the office under the guise of intermediary and care giver to the president. 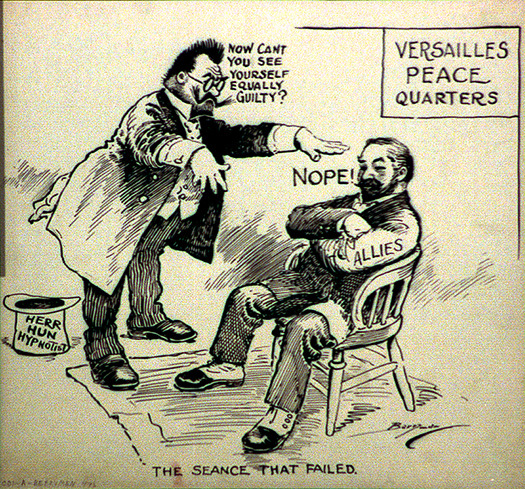 This one may have had some consequences – the Senate never did ratify the Treaty of Versailles, for which Wilson was campaigning when he was stricken, and so the U.S. never joined the League of Nations, dooming it to failure years later as World War II erupted. 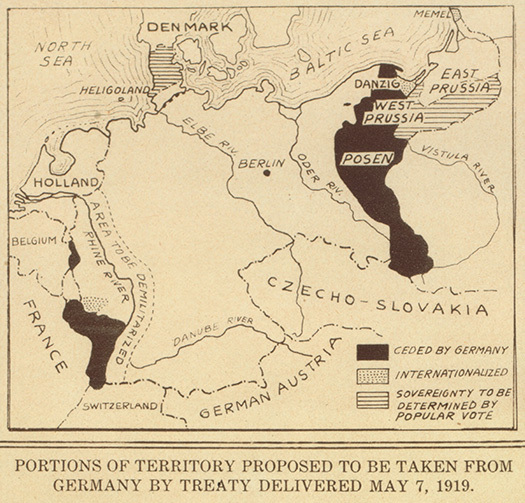 But perhaps Wilson couldn’t have gotten it ratified had he been fully active, anyway. Perhaps Wilson could have influenced the election of 1920, which Warren G. Harding won (who would die of a heart attack in San Francisco, making Calvin Coolidge president). But all of that is pure conjecture. 6. The funniest (in retrospect) was when Ronald Reagan was shot. At a press conference at the White House as Reagan was being prepped for surgery, a reporter asked some cabinet officials “who is in charge?” Perhaps reacting too much to the question as a challenge to whether the government was leaderless and vulnerable, Secretary of State Al Haig grabbed the microphone and said “I’m in charge here!” In reality, Vice President George H. W. Bush was in full communication mode of the modern presidency; control of the “football,” the nuclear strike code case which accompanies the president at all times, could have been an issue, but was not. Under the 25th Amendment and the Succession Act, it’s difficult to imagine how the U.S. could be without a president at any time; the confusion around the death or disability of a president offers a window of a de facto gap, but that should last only minutes under the procedures and precautions now in effect (some of which we saw on 9/11). Worst that could happen now? If missiles were incoming, and confusion over who has control of the football went on for more than 10 minutes, a retaliatory strike could be late in getting launched. It takes about 15 minutes for intercontinental ballistic missiles to get to their downward path, or to register on known radar, so a ten minute delay might be encouraging to a Russia that hoped to knock out the U.S. before a retaliatory strike could occur; but that’s probably not realistic. And, even that would be of no great consequence if the secret “missile net” many people think the U.S. has, actually exists. Is this a class question, or are you involved in some odd drinking game again? (Update: Sheesh. Turns out he just saw “Olympus Has Fallen,” and wondered. On June 15, 1916, President Woodrow Wilson signed the law granting a national charter to the Boy Scouts of America, which had been incorporated six years earlier. The charter is now encoded at 36 USC 309. Good goals then, good goals now — maybe more important now. Have you volunteered to be a leader? Tip of the old scrub brush to the Bill of Rights Institute on Facebook. 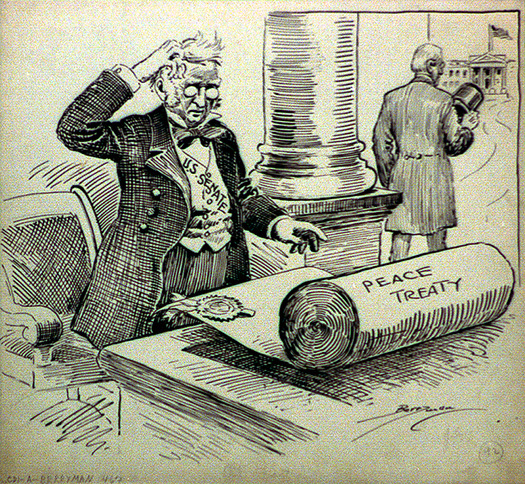 June 9, 1902: Woodrow Wilson elected president . . .
107 years ago today Woodrow Wilson was unanimously elected president, of Princeton University in New Jersey, on June 9, 1902. Wilson’s history is remarkable. He is not the only university president ever to have been elected president of the United States — Dwight Eisenhower and Charles James A. Garfield also served in that capacity (any others?) — but his election to the Princeton post marked an unusual rise in an essentially non-political career that would lead Wilson to the White House through the New Jersey governor’s mansion. Wilson’s thinking, writing and thinking about how to make colleges and universities more democratic, and therefore more useful as fountains of leadership for the nation, propelled him forward. This makes him unusually American in the way he worked for national service, and so was called to higher service. While attending a recent Lincoln celebration I asked myself if Lincoln would have been as serviceable to the people of this country had he been a college man, and I was obliged to say to myself that he would not. The process to which the college man is subjected does not render him serviceable to the country as a whole. It is for this reason that I have dedicated every power in me to a democratic regeneration. The American college must become saturated in the same sympathies as the common people. The colleges of this country must be reconstructed from the top to the bottom. The American people will tolerate nothing that savors of exclusiveness. Woodrow Wilson, president of Princeton University, “Address to Alumni,” April 16, 1910.